Strong leadership and visionary thinking have built FocusCFO into an essential resource that helps companies grow and thrive. Our leadership and executive team sets the strategic direction of the company and supports our passion for meeting the unique business challenges of each client. 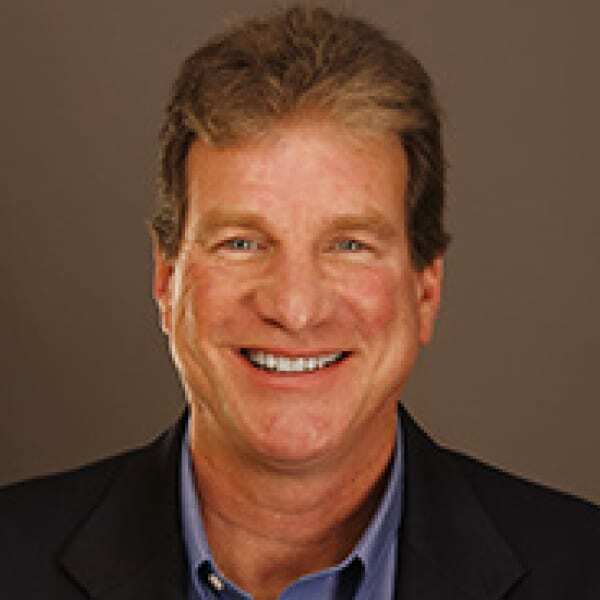 Brad is the founder of FocusCFO and has more than 30 years executive management and leadership experience. He has extensive experience in sales, marketing, operations, buy and sell transactions, and bank financing. His experience includes more than 20,000 hours of working directly with entrepreneurs on issues ranging from strategic planning to day-to-day operations. Brad and the FocusCFO team have built FocusCFO into the largest CFOs services firm in Ohio and perhaps in the entire Midwest US. Brad has spoken to hundreds of CFOs to help them with their own CFO services practices. He is completely open to sharing insights or helping others who want to develop or scale their CFO services practice anywhere in the United States. Brad and his wife Michelle are the parents of five children. Brad previously worked as a CFO, VP of Business Operations, Director of Finance and other senior level positions in private and public traded environments with The Grote Company, MPW Industrial Services, and OHM Corporation and was also previously with Arthur Andersen & Co.
Brad received an Executive MBA from Georgia State University in Atlanta, GA, and a BSBA degree in Professional Accounting from American University, in Washington, DC. David brings significant experience in operations, business development/ sales, and information technology to FocusCFO, along with more than 25 years of financial, tax, and accounting experience, including 10 years with a Big 4 firm. He has an extensive understanding of business planning, cash management, financial analysis and reporting, equity financing, and not-for-profit business improvement. David has held roles as CEO, CFO, COO, VP of Research and Development and Division General Manager for both private/entrepreneurial and publicly held companies. He most recently served as the CEO and Board Member of the software company, Bostech Corporation. David has been active on not-for-profit and for-profit Advisory Boards including Gladden Community House and technology enterprises: 2Checkout.com, coolWIRE, and the Tech Columbus initiative, 14ninetytwo. He has also provided Entrepreneur-in -Residence services at TechGrowth Ohio and TechColumbus as well as serving as an Executive Mentor for the Technology Entrepreneurship and Commercialization Academy at the Ohio State University’s Center for Entrepreneurship. David received his MBA in Finance and BS in Economics from University of Dayton in Dayton, Ohio. Stacey joined FocusCFO in August of 2018 as Operations and Accounting Director. Her major roles at FocusCFO include coordinating the recruiting/onboarding process for our associates and managing the internal accounting/finance functions. Stacey came to us with 12+ years in public accounting with both Big 4 and local firm experience. She provided tax, audit, and business advisory services for mostly high-net worth individuals and their family-owned/operated businesses in a variety of industries. Stacey, her husband Jon, and 4 boys live in Lewis Center, Ohio. Stacey’s most recent role was that of Tax Senior-Manager at a local client-services firm in the Toledo, Ohio area. In her capacity as such, she served as an account manager to multiple key client relationships of the firm, became a trusted business advisor to her clients by providing top-notch tax compliance and consulting services, and drove process development/improvement in the Tax Department. Stacey also spent time during her “stay at home mom” years as a self-employed accountant providing bookkeeping and financial reporting services to small businesses. Also during this time she volunteered as Treasurer for a local start-up soccer club and as Co-President at a parent run Co-operative Preschool . Stacey received her Bachelor of Business Administration Degree with a Major in Accounting from Ohio University (Athens, OH). Favorite musical Artist/Song: The Rap music I am forced to listen to in the car with my kids….totally kidding. Maroon 5 by far is my favorite band as well as a lot of classic rock music from the 70’s (my Dad’s influence). Favorite thing about being with FocusCFO: Dealing with people day in and day out who are passionate about what they do. Brandy has more than 20 years of accounting and finance experience. She has knowledge in auditing, internal controls, corporate finance, and non-profit accounting. Her experience comes from the Financial Services, Governmental, and Non-Profit industries. Brandy, her husband, Jeremy, and their 2 children live in Hide-A-Way Hills, Ohio. Brandy held positions such as a Director of Finance, Senior Analyst, and Assistant Auditor with Fairfield Christian Church and Academy, The BISYS Group, Inc., and the Auditor of the State of Ohio. Brandy earned a BSBA degree in Accounting from Ohio Northern University in Ada, Ohio. She also received her Ohio CPA License which is currently inactive. •	Spending time: With family. •	Favorite vacation: A trip through the New England States with my husband for our 20th anniversary. •	Favorite Activities: Travel, reading, learning. Sharon has been with FocusCFO since March, 2002. 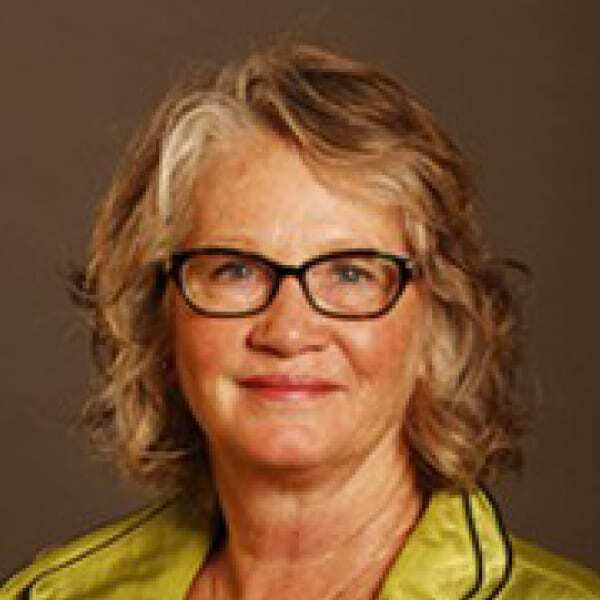 Sharon worked in various financial management positions and spent most of her career in the areas of banking, state government, manufacturing and non-profit accounting. She has lived in Ohio for over 24 years with her husband and 2 children. Sharon has a BS degree in Accounting from the University of North Carolina at Greensboro. Favorite vacation: hiking and ATV riding in the mountains of Arizona. Top of my “bucket list”: Motorcycle trip on the Pacific Coast Highway – but first I need to learn to ride! Julie brings 30 years experience in Administration, Human Resources, Recruiting and Business Development to FocusCFO. She has worked in various industries from retail, transportation, franchise and consumer goods. Julie worked as an Independent Professional Coach, Marketing Consultant and Recruiter prior to joining FocusCFO. She spent 10 years as the Business Development/Recruiting Manager for several ActionCOACH franchisors across the United States before leaving to taken on the role of Office Manager for a startup staffing agency. Julie has always worked for small and medium enterprises like AirNet Systems, Trident Construction Supply, Lowell Bleachery in Griffin, GA, and an insurance brokerage in Buffalo, NY. Julie received an Associates in Applied Arts Degree in Marketing from Genesee Community College. Attended the Rochester Institute of Technology and Empire State College. She lives in Dublin, OH with her son. Favorite thing about being with FocusCFO: The people, the ones already part of the team and the ones that I get to speak with about FocusCFO. Passionate about: Helping people achieve their goals. Top of my “bucket list”: Vacation in Italy…if only I can get over my fear of flying. Sharon loves helping organizations tell their unique stories about services, products and causes. She has 25+ years of experience in marketing and communications for non-profit and for-profit organizations including market development, campaign and tradeshow management and organizational communications. Sharon and her husband Marshall live in Dublin, OH. Sharon has worked as a consultant for companies in Georgia, New York and Ohio, including Honeywell, CNN and the Weather Channel. 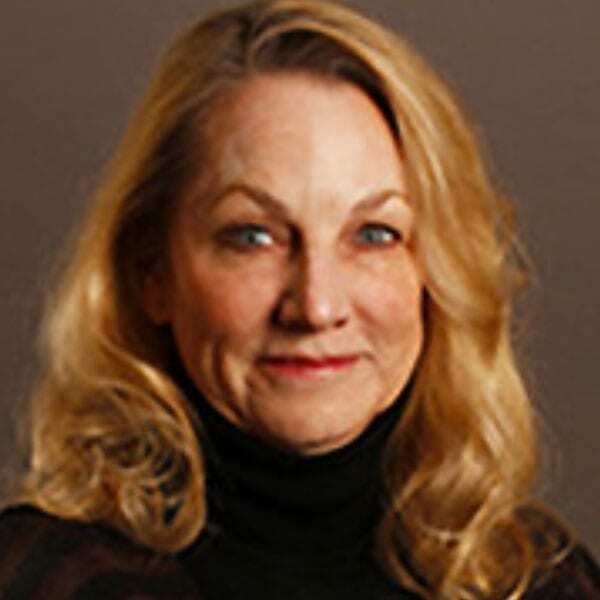 She was the executive director of a non-profit corporation and has held several positions in the high-tech industry, including at CompuServe/AOL. Sharon received her B.A. in Communications from The Ohio State University, Columbus, OH. •	Favorite thing to do: I enjoy spending time with my family, gardening and reading. •	Favorite vacation: South America and Falkland Islands to see the penguins. •	Passionate about: I’m passionate about travel, having visited 47 states and 32 countries. Heather brings more than 20 years of combined media, public relations, corporate communications and marketing experience to FocusCFO. Her true passion lies in is helping CEOs communicate and execute their company’s brand and value proposition to key stakeholders in order to impact their overall bottom line. She lives in Mason, Ohio. Heather spent the first ten years of her professional career as a TV news producer in Cincinnati and Louisville before transitioning to the corporate world, where she supported c-suite executives in all facets of blocking and tackling their communications strategy, from managing and executing annual shareholders’ meetings to serving as the primary company spokesperson. Heather spent six years as Senior Corporate Communications Manager of Cintas Corporation before transitioning to privately-held Ferno, a leading manufacturer in the EMS industry. She then spent two years learning truckload logistics at Total Quality Logistics, a third-party freight brokerage firm before launching her own firm as an independent entrepreneur. Heather holds an Executive M.B.A. and a B.A. in Communication Arts, both from Xavier University in Cincinnati. What I wanted to be when I was a child: When I was in 1st grade, I remember giving a presentation in front of the whole school about how I wanted to be a veterinarian. Favorite thing about being with FocusCFO: I love the passion this company has for helping entrepreneurs realize their dreams. As a new entrepreneur myself, I appreciate how empowering a CFO can be to helping paint a vision for the future, and FocusCFO offers a cost-effective way to provide that for every business, regardless of the size. It’s truly inspiring. Emily is the Recruiting Researcher and Administrative Assistant for FocusCFO. She works with members of the FocusCFO team to use her skills and expertise as the company expands into new markets. Emily attended Brigham Young University and brings years of administrative and customer service interaction experience to the team. She and her husband, Ryan, have two cute cats, Oreo Milkshake and Orange Julius. Darren Cherry is an Area President with FocusCFO and has more than 25 years broad Finance and Operational experience. His background includes senior roles expanding market share across continents and channels and designing improved operations, marketing and finance practices. Darren has a history of turning around overall performance by stepping into environments and fundamentally transforming employee accountability and engagement, customer loyalty, and market dynamics. He is noted for his unique skills to quickly size up company/customer/market dynamics, leverage insights to design strategic opportunities, infrastructure, and product solutions that help businesses close the gap between current state and aspirations. Darren previously worked in a variety of leadership roles including Director, Division Controller, Group Controller, Division President in both private equity and public traded environments with Honeywell, Komatsu Ltd, Connell Limited Partnership, Green Earth Technology, Gary-Chicago Regional Airport Authority and Greif, Inc.
Darren received his MBA from The Ohio State University and BS in Accounting from Purdue University. Darren and his wife Bonita reside in Columbus, Ohio. Favorite thing about being with FocusCFO: An amazing group of folks banding together to help entrepreneurs take their businesses to the next level. Michael has more than 25 years diverse business, finance, administration, and accounting experience and expertise, including working in the telecommunications, manufacturing, and retail industries and designing management financial reporting packages including analytical tools and metrics. Michael has served in several senior management roles with companies such as KMPG Peat Marwick, The Limited, Horizon PCS and NCS HealthCare. He has more than 10 years’ experience working with reorganized and start-up public companies and over 16 years working with publicly reporting companies. Michael received his MBA from The Ohio State University and previously a BSBA in Accounting from Miami University in Oxford, Ohio. He is on the Finance faculty at the University of Phoenix, Columbus campus. Tom has more than 35 years experience in business finance, management, and accounting helping small to middle sized closely held businesses. Tom served in several senior management capacities with Ernst & Young where he was a partner in the Entrepreneurial Services Group and headed up the local E&Y Construction Practice Group. 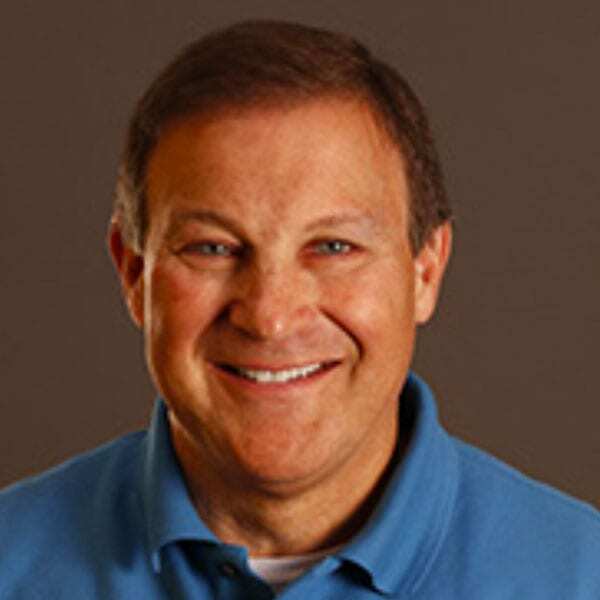 Tom also served as Chief Operating Officer of Longaberger Company and was the CFO for Divine, a telecommunications construction company. Tom’s experience and expertise include working in the construction, manufacturing and telecommunications industries, with extensive experience in business finance, management and accounting. Tom received a BSBA in Accounting from The Ohio State University, Columbus, Ohio. Jeff is a former business owner successful at starting and growing a business from the ground floor up and then eventually selling the business to a strategic buyer. He spent more than 30 years in business development, building and leading sales and operations teams and identifying the most critical gaps slowing sales growth and implementing the strategies and processes to remedy the situation. He has track record of effectively managing and coaching teams to superior performance levels as well as excellence as a business owner. He is a superb communicator with strong relationship building skills and possesses excellent presentation and negotiating skills. He has a flexible and adaptable approach to change with a strong focus on client service and management. He is a self-starter with the ability to work in a highly challenging, fast-paced, and dynamic environment and attentive to details and showing strategic insights in delivery and continuous improvement. He possess strong problem solving skills and has passion for people, projects, and processes. 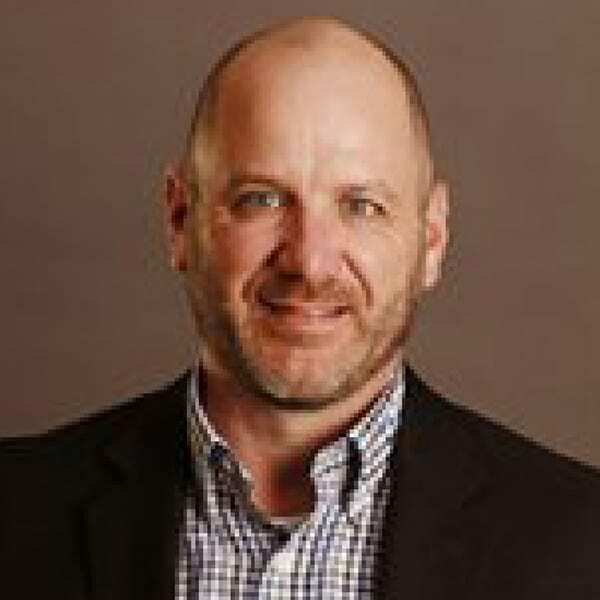 Jeff previously was Vice President of Operations for Modern Office Methods and Business Owner for Document Solutions as well as Major Account Sales O’Brien Business Equipment and a Gordon Flesch Company-Sales Representative. Doug has more than 25 years of diverse business experience centered in operations and financial management. He is a former business owner who started, grew and sold a successful multi-unit franchise business. After graduating from Indiana University with a bachelor’s degree in finance, Doug spent the early part of his career in corporate banking. He left banking to start a Buffalo Wild Wings franchise, and had an 18 year career in the bar/restaurant industry with his dad and his brother. After selling the franchises, he invested in and managed the operation of a cloud-based CRM software company that was acquired by a private equity firm in 2017. Favorite thing about being with FocusCFO: I really enjoy talking with small business owners and hearing how they got their start. Bob has more than 25 years of diverse business, finance, administration and accounting experience. He has a deep understanding and experience of running a national franchise network and working closely with small and middle market clients. Bob is a very determined leader helping companies deliver on their strategic vision and objectives. Bob previously worked in various leadership roles including President of a National Real Estate Franchisor, Real Living Real Estate, a division of Berkshire Hathaway, CFO of Real Living, a closely held family business, and other companies such as Express, Bank One and Schneider Downs & Co.
Bob received his BSBA in Accounting from Clarion University of Pennsylvania, In Clarion PA.
Bob is an Area President in Coshocton for FocusCFO, helping clients in Coshocton, Zanesville, Mount Vernon, Cambridge, and the surrounding areas. Bob has more than 30 years senior executive management experience. His career has been primarily in the health care field where he focused on the financial needs of the hospitals he worked with. Along with an extensive CFO experience, he has also work as a CEO for more than three years during his career, so he understands the financial aspects of the business as well as the strategic and operations side. Bob and his wife Sue live in Coshocton, Ohio. 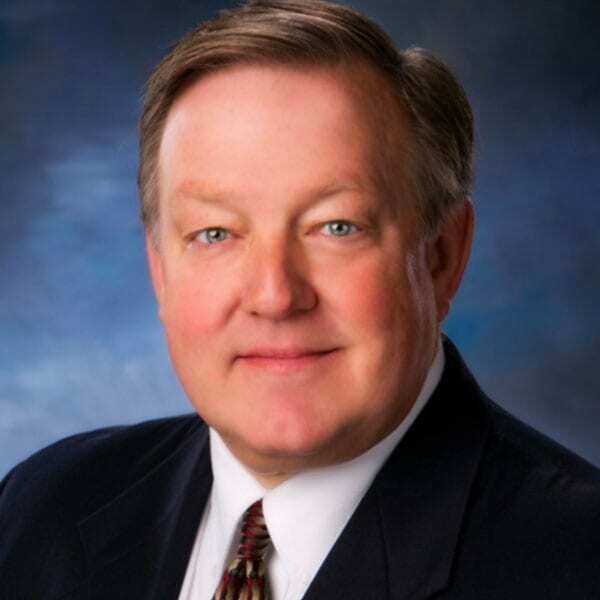 Bob previously worked for 13 years at Coshocton County Memorial Hospital as its CEO, CFO, and Controller, the last two years as CEO was under a management agreement through Genesis Health Care. In addition to Coshocton Hospital, Bob has worked as the CFO and Assistant Director of Finance for Patient Accounting, and he spent time as a health care consultant during the first 20 years of his career. Bob received his MS in Finance from Mount Vernon Nazarene University, in Mount Vernon, Ohio, and his BS in Accounting from West Virginia Institute of Technology in Montgomery, West Virginia. Favorite thing about being with FocusCFO: I have the opportunity to assist several different businesses in the strategic financial direction of their business on an ongoing basis. 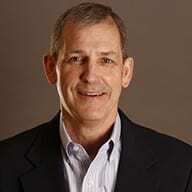 Tim has more than 30 years diverse business, finance, administration, and operations skills, experience and expertise. His knowledge includes working in the healthcare finance, information technology, human resources, purchasing, accounting, revenue cycle, reimbursement, and small business financial and operational consulting. 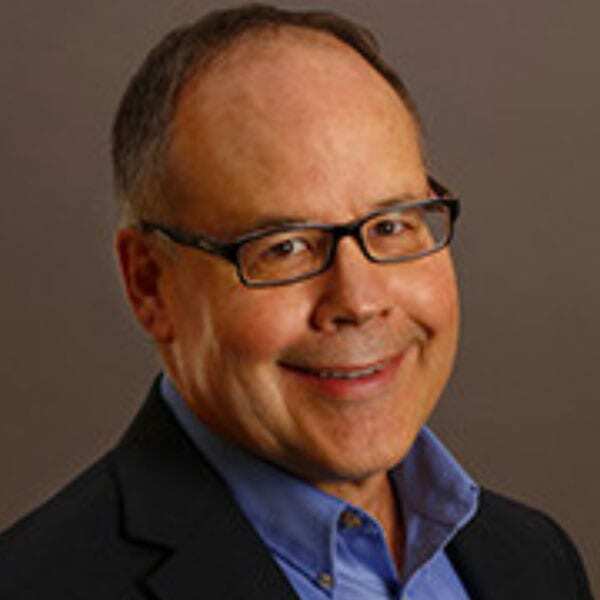 Tim has served in several senior management roles with companies such as University Hospitals of Cleveland, Ohio Health, Mount Carmel Health System, Smith Clinic (large private physician provider organization) and had his own small business consulting company. He has experience working with acquisitions; start-up entities and growing and rightsizing organizations. Tim received his BBA from Eastern Kentucky University. He was a member of several professional healthcare associations. Spending time: Family, fitness, friends, golf, travel. Favorite Vacation: Enjoying warm tropical breezes and sunshine. Favorite thing about being with FocusCFO: Helping business owners achieve financial wealth, independence and family successes. Ric brings over 25 years of financial, operational and sales leadership experience across small/mid-size and large public companies. He has proven abilities in profitability improvement, cost reduction and process improvement initiatives. Ric and his wife Kristin live in Bexley, OH. Ric previously worked as CFO, COO and Regional Sales Head in private and public companies including J.P. Morgan Asset Management, Bank One and The Crystal Fruit Company. Ric started his career in public accounting at Ernst & Young. Ric also spent three years as a Board Member for the Bexley Education Foundation and was the Finance Committee Chairman. Ric received his BA from Capital University in Accounting. With 40 years experience, Dan is a seasoned senior executive focusing on progressive responsibility in the manufacturing environment in both business operations and financial control for more than 25 years. Dan served as the President and CFO of a contract manufacturing business that grew from $7 million to $48 million over his 20 years with the company. Dan’s financial skills allowed him to coordinate the acquisition of several businesses, to secure corporate financing for capital equipment and operations, to develop strong internal reporting and daily operational monitoring and to implement effective costing and inventory systems. Dan has years of experience in business and financial management in small to middle sized closely held businesses. Dan received his BA in Accounting from Akron University in Akron, Ohio. Favorite Activities: Sports in general, with golf and bowling the two I spend time doing. Coaching or assisting with grandkids in their sports interests. Don has more than 30 years of diverse experience providing senior financial management to small and mid-sized businesses. He has a strong background in forecasting, budgeting, business strategy, insurance contract negotiation and analysis, debt refinancing, mergers & acquisitions, and cost accounting. 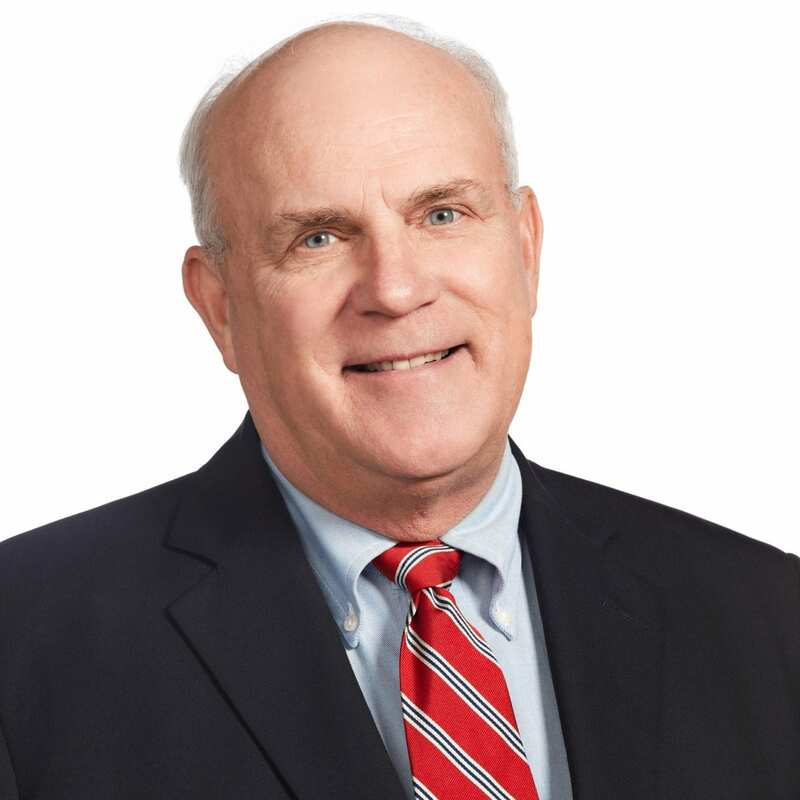 Don has served in several senior management roles with companies such as Chief Financial Officer of Hometown Urgent Care, Director at Ernst & Young and GBQ Partners. He also managed his own controller & CFO contracting business for three years. He has evaluated and advised on numerous business acquisitions and restructuring and has worked with several private equity firms on business transactions. His expertise includes financial analysis, financial budgeting and forecasting, cash flow forecasting, product profitability, cost accounting and health-care cost and profitability modeling. Don received his MBA in Business Management and BBA in Accounting from Ohio University in Athens, Ohio. He also holds a BM in Jazz Performance from Capital University in Columbus, Ohio. 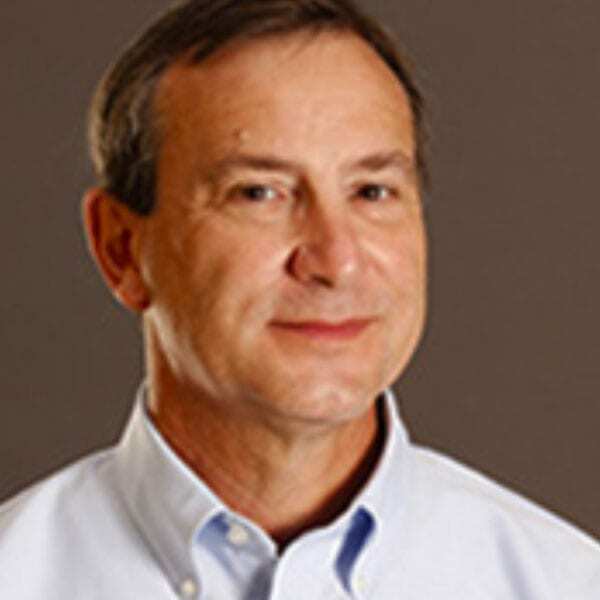 Ed has more than 30 years of experience in accounting/finance and operations as CFO and COO. Strong management skills with a disciplined approach to managing processes and controls, and experience in leading and developing small to mid-sized businesses and driving growth. Ed and his wife Lori have 2 daughters and live in Dublin, Ohio. After graduating from The Ohio State University with a BSBA in accounting and computer science, Ed worked for Coopers & Lybrand’s auditing division. Major clients in Franchised Restaurants, Financial Services, Commercial and Residential Construction, Commercial Property Management and the Auto Manufacturing sector. He left auditing to start his entrepreneurial career. He started out owning and managing rental properties and commercial retail real estate than recruited to serve as CFO and COO of Quaker Steak & Lube franchise concept. Favorite thing about being with FocusCFO: Helping business owners grow and maximizing profits. Favorite Activities: Golfing and anything Ohio State with Buckeyes. Over the past few years prior to joining FocusCFO, Dean has been engaged as a business adviser to entrepreneurs and as a church capital campaign generosity strategist. Dean has a deep passion for privately-held businesses and the challenges facing entrepreneurs along with the rewarding opportunities. Dean is excited to be on board at FocusCFO with increased opportunities to help others. It is hard to pick a favorite movie. My favorite actor is Robert Duvall. Favorites plays: Phantom of the Opera and Les Miserables. I read primarily nonfiction. My latest great read is Being Mortal by Atul Gawande. I also enjoy reading books by Bill O’Reilly, Malcolm Gladwell, and Andrew Farley. I love The Ohio State Buckeyes and regularly attend football and basketball games. I have deep passion for the Cleveland professional teams: Cavaliers, Indians, and Browns. We have had many tremendous vacations; our trips to Russia, China, and the Mediterranean would tie for first place. For a quick getaway, we like Chicago and New York. Favorite restaurant is Giordano’s Pizza on Rush Street in Chicago. Bruce brings more than 35 years of experience in financial management to your business, specializing in the retail and service industry sectors. He has held senior management positions (CFO/Controller) in large/small, public/private, corporate/division and domestic/international firms. 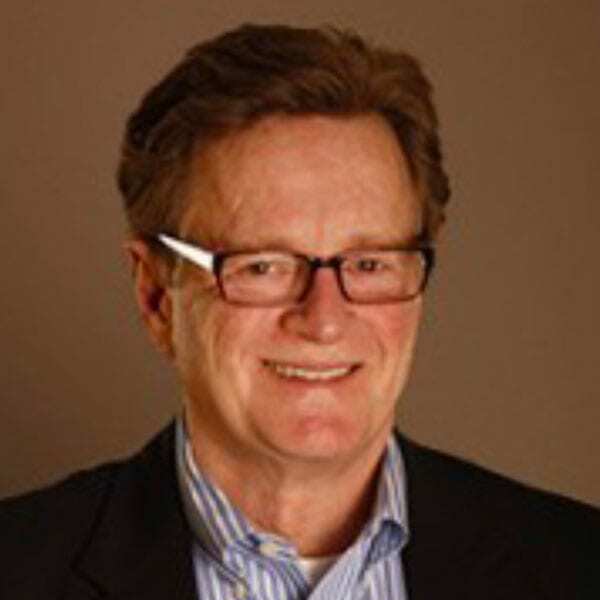 Prior to joining FocusCFO, Bruce spent eight (8) years with The Limited, Inc. and prior to that held management positions with May Department Stores and Federated Department Stores.Bruce earned his undergraduate degree from Duke University in Economics & Psychology and his MBA from Fordham University in Accounting & Finance. Will has more than 20 years executive management and leadership experience. He has experience working with family business owners in the manufacturing, wholesale distribution, and construction industries. In addition to leading the financial teams, Will, has extensive experience in assisting operational managers monitor and evaluate operational processes and procedures to improve output and efficiency. Will previously worked as a CFO, VP of Administration and Senior Controller in privately held business environments with Universal Production Corporation, Zemba Bros. Inc. and Mattingly Foods, Inc. Will was also a Senior Manager and Shareholder of Norman, Jones, Enlow & Co., a regional public accounting firm operating in central and southeastern Ohio. Will received BSBA degree in Accounting from The Ohio State University in Columbus, Ohio. Prior to beginning his career in Accounting and Finance, he served in the U.S. Army and is a veteran of Desert Storm. Joe brings more than 25 years diverse finance, operations, and sales experience to his work providing CFO services to small and medium- sized businesses. He has a proven ability to manage and improve business operations and experience in strategic planning, mergers, acquisitions, integration, and multisite operations. 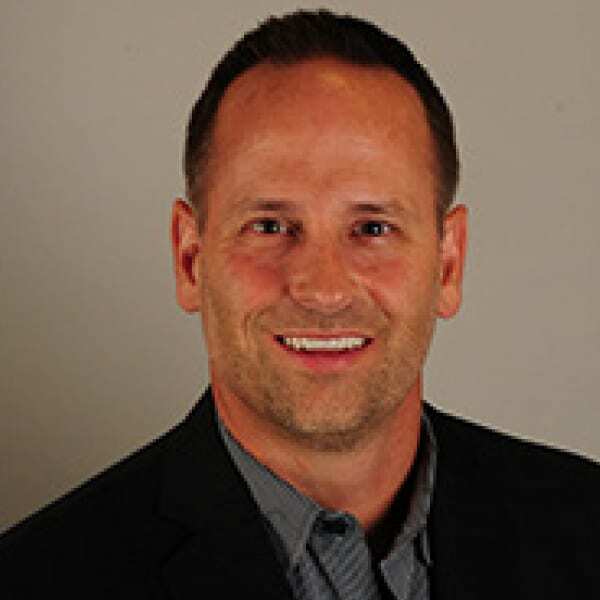 Joe previously worked as an EVP & COO, CFO, Corporate VP and Plant Manager and Corporate Controller with Nexergy Inc., The JPM Company and Bridon American Corporation. Joe received a BS in Commerce and Finance from Wilkes University Wilkes-Barre, PA.
David has more than 30 years of financial management and leadership experience. He has lived and worked in the United States and abroad with a history of successfully leading finance and administration teams leveraging diverse people, systems and cultures to achieve greater success. David worked many years for Greif Inc. in various different positions primarily in finance & administration in many different parts of the world. Before Greif, David worked for KPMG in the UK and PricewaterhouseCoopers in The Netherlands. He has spent the last two years working for small privately held companies as a CFO and more recently a COO. David has been Board Treasurer since 2007 of People In Need of Delaware County, Delaware, Ohio (a not-for-profit food pantry and emergency services provider) also providing pro bono consultancy services in finance & administration, fundraising, structuring financing, operational efficiency improvements and cost reduction measures. 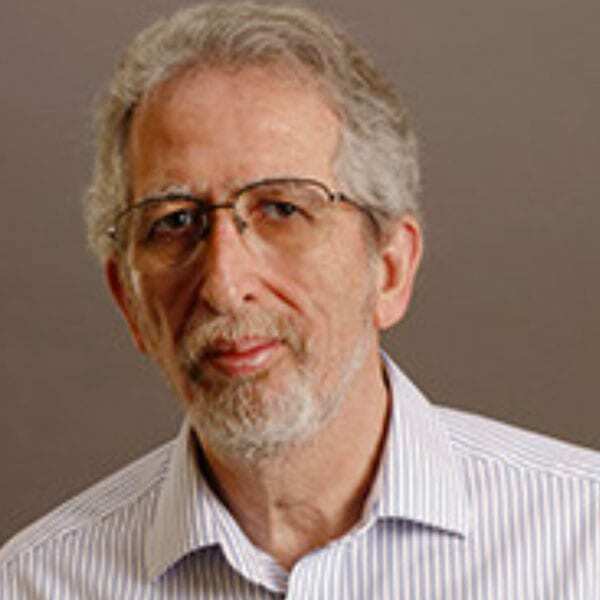 David received a Bachelor of Commerce degree from the University of Birmingham in the UK and is a Fellow of the Institute of Charted Accountants in England & Wales. Spending time: Traveling the world, seeing new places and taking lots of photos along the way. Passionate about: Helping others less fortunate than myself, especially through alleviation of hunger and poverty. Favorite Activities: Watching sports such as soccer, cricket and rugby that I grew up with as a kid as well as now avidly following the Crew, the Blue Jackets and the Buckeyes. Pat brings more than 25 years diverse business, finance, administration, and accounting experience to his work providing CFO services to small and medium-sized businesses. He has extensive involvement in matters ranging from day-to-day operating decisions, business development, strategic planning, merger/acquisitions, and multisite operations. Pat’s experience and expertise include working in the financial and health care industries, with extensive experience in public and private sector financial analysis, strategic planning, SEC reporting, IPOs, merger/acquisitions and multisite operations. He has served in several senior management capacities with The BISYS Group, Magellan Health Services, and Deloitte & Touche. Pat received a BS, Business Administration, Accounting from The Ohio State University. Scott brings over 25 years of financial and operational experience, specializing in customer service, distribution, manufacturing, retail, restaurants, real estate and software industries. Scott brings executive management and leadership experience and has held positions (Controller/CFO) for small, medium, and large international corporations. Scott and his wife Erie Jane live in Dublin, OH. Scott previously worked as a CFO, VP of Finance, Director of Finance and other senior level positions in private and public organizations. Scott was sole principal for a private consulting practice specializing in accounting software and process improvements. Scott is currently pursuing his MBA from Franklin University, received Advanced Accounting degree from San Diego State University, and BSBA from The Ohio State University majoring in Production and Operations Management. Scott is also certified in the use of Microsoft Dynamics software. Spending time: With family/friends, traveling, golf and learning. Favorite thing about being with FocusCFO: Helping clients grow and achieve their goals. Passionate about: Helping people by any means possible. Something most people don’t know about me: Finished High School after junior year and then graduated from Ohio State in 3 years. Sherif has more than 20 years executive financial management and leadership experience both in local and international markets. Throughout his career, he has helped many entrepreneurs launch, restructure, or expand their business through strategy building, financial planning and structuring, Debt or equity financing, setting up SOPs, cash flow management, and business process improvements. 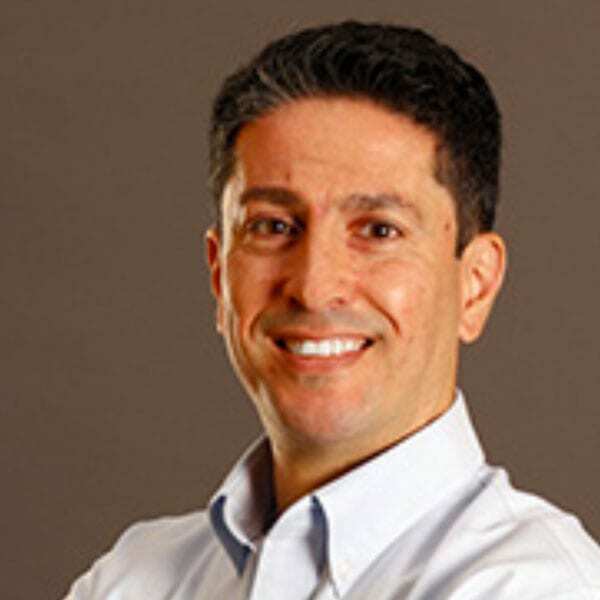 Sherif previously held multiple roles as a CFO, Managing Partner, Financial Consultant to Board of Directors, and other senior level positions. He acquired his experience in various industries including publishing, education, real estate development, contracting, and services. Sherif Received a BA in Economics from The American University in Cairo (AUC) in 1996. Favorite thing about being with FocusCFO: Helping entrepreneurs turn their dreams into reality and achieving the results they seek is one of my greatest passions…and at FocusCFO I get to do this every day! Jim is a results-oriented executive with more than 35 years demonstrated success in executing strategic, organizational and solutions-focused projects achieved through partnering with and engaging all levels of organization. After putting in ten years at a major CPA firm, where he specialized in construction, real estate development and restaurant accounting, Jim has worked as the Chief Financial Officer and General Manager of two entertainment companies, a landscaping company, and a distributorship. He received his MBA in Finance from The Ohio State University and a BS in Accounting and Finance from Miami University, in Oxford, Ohio. Spending Time With: Family…it’s all about family, isn’t it? Favorite Activities: Sailing, tennis, cycling, hiking. Favorite Vacation: Sailing on Lake Erie, in the Caribbean…anywhere. Favorite Musical Artist: Grateful Dead (I know…I should be embarrassed about that after all these years). Richard has more than 30 years of financial management and leadership experience, primarily in the retail and distribution industries. He has experience in financial analysis, strategic planning, process improvement, treasury management, bank financing and acquisition due diligence. Richard and his wife Janet live in Hilliard, Ohio. Richard spent the first part of his career in a variety of financial leadership positions at the retail and distribution operations of Big Lots Most recently, he was the Controller & Treasurer for The W.W. Williams Company. Richard received a BSBA with a major in Accounting from The Ohio State University in Columbus, OH. He is also a Certified Public Accountant and Certified Treasury Professional, and he serves on the Central Ohio Leadership Board of the Arthritis Foundation. Favorite movie(s): The Dark Knight; Shawshank Redemption; The Usual Suspects. Rich held senior management positions at Deloitte Touche in Cleveland, Ohio. His client specialization was high technology manufacturing, construction/real estate development and retail. His next challenge was as CFO of a client facing growth challenges and the need for accounting improvements and project equity funding to be leveraged with bank financing. After the eventual sale of the projects he returned to Central Ohio. He became CFO of Edison Welding Institute, a scientific research 401(c) 3 not-for-profit, in their second year and remained until after their tenth year by which time the team had qualified the organization as a government prime contractor, grown earned revenues to $20 million and qualified for bank and GE Capital financing. Returning to the for-profit sector, he took on additional roles as CFO/International Controller in growing owner operated companies. Since 2012 he has provided Controller/CFO consulting services to a capital-intensive founder managed business. This new initiative experienced hyper growth with Amazon.com and was funded by private equity profit participation leveraged by bank financing. Rich received his BS in Accounting/Finance from the University of Detroit and MBA from John Carroll University in University Heights, Ohio. 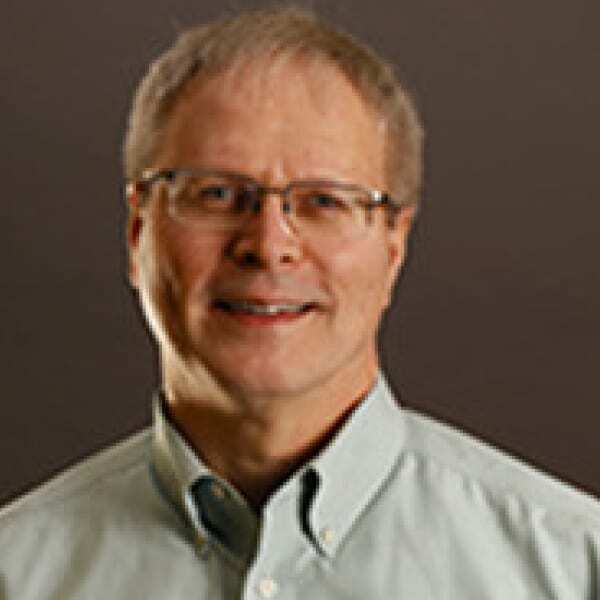 Lyle has more than 35 years executive management and leadership experience. He has extensive experience in finance, accounting, information technology, and operational efficiency. His background also includes mergers and acquisitions as well as strategy development. Lyle previously worked as a CFO, SVP of Operations, and Chief Information Officer for various insurance companies during his career (Shelby Insurance, Grange Insurance, and State Auto). He also spent six years as the Treasurer for First Travel Service and Travel Associates, both Ohio-based travel agencies. He has also served on numerous charities and industry organizations in both an operational and leadership capacity during his career. Lyle received both his MBA and BSBA degrees from Ashland University in Ashland, Ohio. He is also a Certified Public Accountant (currently inactive). Favorite thing about being with FocusCFO: Working with a great team and helping businesses to continue their growth and success! Bob has more than 35 years diverse experience in operations, finance, and accounting. He has proven abilities in managing and implementing start- up and growth operations, joint ventures, new system implementations, and international expansions. He also brings extensive experience to process improvement and cost reduction projects. 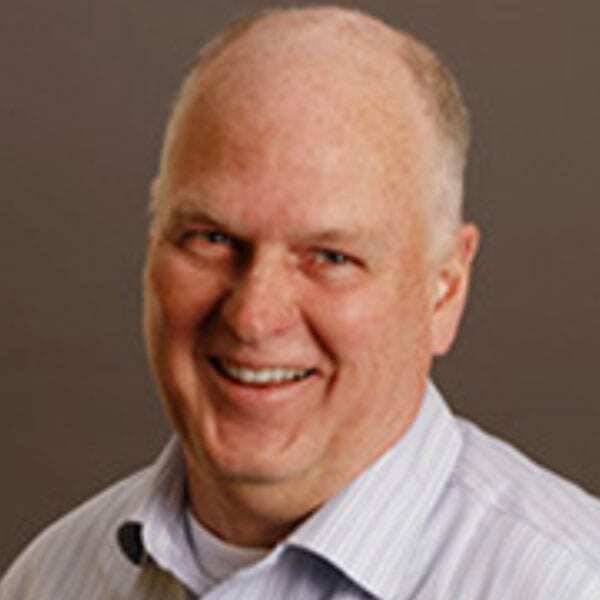 Prior to joining Focus CFO Bob worked for Motorola, Inc. in various locations throughout the world responsible for all finance related issues pertaining to manufacturing, engineering and sales. His most current role was at L Brands as the AVP and Controller for Victoria’s Secret Stores, responsible for all retail related accounting as it pertains to the customer, stores, and sourcing segments of the business. Bob received his Bachelor of Science degree in Accounting from the University of Illinois in Champaign-Urbana, IL. John has more than 40 years management and leadership experience in his own business as well as in others’ businesses. He has extensive experience in strategic and tactical thinking; he helps businesses with short, medium, and long-term tactics—to behave consistently to accomplish long-term strategic goals. John previously worked in nearly every role in public accounting, first with a large local firm which merged into a national firm, and later founding his own firm which grew substantially and eventually merged with a “Top 100” regional firm. He was a client relationship manager and also managed the largest of 13 offices office in the system during his tenure. His primary client role was devoted to the construction industry where he led the firm-wide Construction Specialty Group as a “Certified Construction Industry Financial Professional.” His main interest was in providing “profit enhancement services” across a broad spectrum of industries. John’s ability to understand businesses in their most basic pieces, and understand which factors drove others and how they all mesh, allows him to communicate complex ideas to owners, help develop KPIs and critical concepts, and innovate in the production of the required information to facilitate this thinking and understanding. John received a Credentialed Mediator’s Degree after two years of study at Capital University Law School (2010–2012) and a BS in Accounting from Franklin University after studying American History for three years at The Ohio State University. John and his wife, Donna, live in Hilliard, Ohio. Favorite Books: Anything by John Steinbeck, Graham Greene, Kurt Vonnegut, Amy Tan, James Michener. Favorite Musical Artist: Hands-down, it’s James Taylor. Favorite Vacation: Three busy weeks in Europe visiting several of my Exchange Daughters. Extensive world travel. Favorite thing about being with FocusCFO: Nothing beats being on a team, helping hard-working folks to be successful. Jim has more than 30 years diverse business, finance, administration, and accounting experience working primarily with small to mid-sized companies. He has had extensive involvement in matters ranging from day-to-day operating decisions, business development, refinancing, strategic planning, and mergers/acquisitions. Jim has served in several senior management roles with companies such as Oberfields, Desco, BriskHeat, Alta Analytics and Ernst & Young. He has evaluated and advised on various restructurings, refinancing and selling opportunities. His expertise includes financial analysis, development of business metrics, product line profitability, budgeting/forecasting and cost accounting. Jim received his BSBA in Accounting from John Carroll University in University Heights, Ohio. Lynnette has more than 30 years experience with superior analytical abilities to develop and apply innovative solutions to complex problems and achieve desired business results. 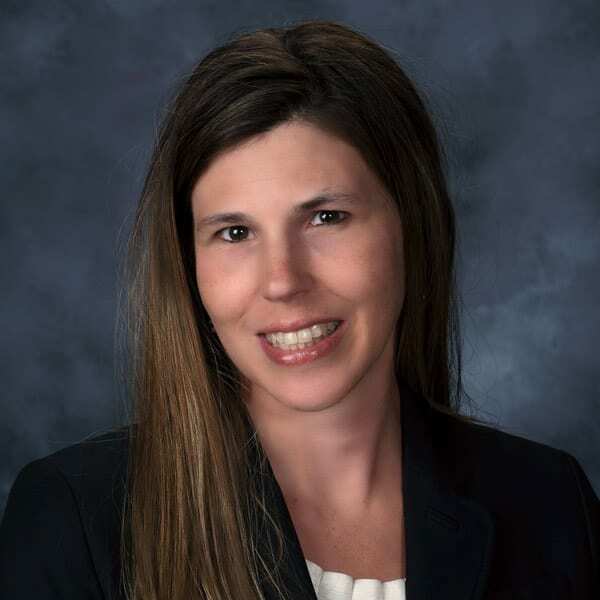 Lynnette has extensive knowledge of financial analysis and reporting, cash management, inventory planning and control, systems implementation, and business planning. Lynnette is goal-oriented, dedicated finance professional with a demonstrated commitment to continuous improvement. Prior to joining FocusCFO, Lynnette served as CFO for Jeg’s Automotive and Cord Camera Centers, both privately held retail companies. She previously held senior financial management positions with large public companies including The Limited and Federated Department Stores. Lynnette has hands-on experience with a variety of software and reporting applications. Lynnette received her BA in Business Economics from The College of Wooster. Forest has built his career managing, developing, and leading various business enterprises. He finds joy in helping business owners find balance in their personal and professional contributions to industry and society. With over 20 years of experience in sales and marketing, operational excellence, financial control and human capital investment, he formed his knowledge base. Forest has interest in strategic and succession planning and provides corporations with a concise road map to alleviate the inherent stress of business ownership. He has been involved in several merger, acquisition, and divestiture transactions. He has extensive knowledge in family business enterprise. Forest leads with an entrepreneurial spirit incorporating cultural awareness. Forest has previously held positions as COO, VP Operations, GM and President/CEO. Recently, Forest ran a large format printing operation that produced and fulfilled promotional marketing and merchandising displays for fortune 500 companies. Additionally, he spent time managing operations at wealth management firms and manufacturing enterprises applying best practices to enhance corporate harmony and profitable results. Forest is a graduate of Colorado State University where he studied economics. He holds a certificate of management from Case Weatherhead School of Business and contributed over 10 years in the Cleveland chapter of Entrepreneurs Organization including forum moderator. Peter is an accomplished business executive with over 30 years of experience leading both domestic and international businesses, from Fortune 100 companies to small, family-owned enterprises. He’s passionate about creative problem solving and big-picture thinking, and he prides himself on having a reputation of unquestionable integrity. Peter lives in Copley, Ohio with his wife, Patty. Peter previously worked for Monsanto Rubber Chemicals and Instruments in Akron, OH. His career with Monsanto included a three-year assignment in Brazil as a Division Manager and he was a member of a divestiture team that transitioned a $600M division to Bayer Corp. There, Peter served as GM of Bayer’s Film Division. He’s also worked as a President and COO for a small, family owned plastics processor and most recently managed his own consulting practice with a focus on strategic planning, business improvement and Board governance. Peter co-founded and launched a non-profit company focused on addressing the ‘skills gap’. Peter received an AB degree in physical science from Colgate University and an MBA from Case Western Reserve’s Weatherhead School of Management. Peter earned a Lean Six Sigma Black Belt certificate. Greg has played a key leadership role in small and medium-sized businesses for more than 30 years. He has extensive experience in planning, sales, and operations both at the transactional and strategic levels. His focus is strategic and financial relationships. He was chosen to deliver his company’s message to strategic partners and customers in Asia, Europe and South America. Greg previously worked as an Executive VP, CFO, Director of Financial Planning & Analysis, and other senior level positions in closely held manufacturing organizations: Superior Products, Inc., and Engineered Controls International. As a spokesperson Greg was able to create positive media for the company and industry with National Public Radio, The Wall Street Journal, and select industry trade journals. He started his career with Arthur Young & Co. working in Audit and Tax. Greg received an BSBA majoring in Accounting from Bradley University in Peoria, Illinois. Greg and his wife Carolyn live in Medina, Ohio. Jim is a successful business executive and entrepreneur, having developed several companies over more than 30 years business experience. He has a wealth of experience in business development, financial management, team building and leadership. His last company was built from the ground up to $85 million in sales with more than 250 employees. 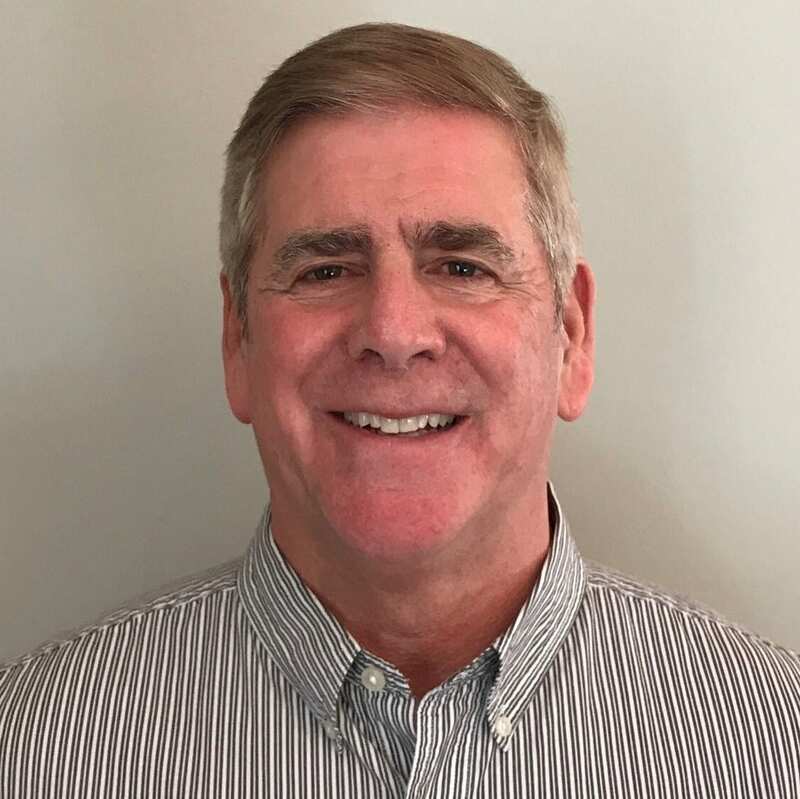 Jim previously worked as a president, CFO, & VP of Sales in multiple industries including packaged goods distribution, electronics, grounds management and real estate. He received his BS degree in Marketing and Finance from The Ohio State University. Jim lives with his wife Paula and three sons in Broadview Heights, Ohio. Favorite thing about being with FocusCFO: the willingness of people to work together and help each other. by both Weatherhead School of Business (Weatherhead 100) and Inc. magazine (Inc. 500) for rapid growth. He has substantial experience in leadership, business development, team building, and financial management as well as implementing processes and systems for repeatable predictable results. Currently as a Vistage Small Business Chair, he spends hundreds of hours a year helping presidents, CEOs, and owners turn stumbling blocks into stepping stones. Jeff previously worked as president, CEO, and owner of manufacturing and distribution companies serving multiple industries including industrial and food packaging, automotive aftermarket, screen printing, and steel . He received a BA in Business Administration from the University of Mount Union in Alliance, Ohio. Jeff and his wife Angela live in North Canton, Ohio, with their daughter and two sons. Favorite thing about Focus CFO – helping small business owners turn stumbling blocks into stepping stones and helping others to maximize their performance and life/work balance. Lew has over 25 years of strategic senior management experience in CFO, COO, and CEO roles in several privately-held organizations and industries. He has extensive operations, sales, HR and finance experience in both traditional and organized labor environments. Lew was most recently the CFO of JARO Transportation Services. Previous to that he held CFO, COO and CEO positions at Dworkin, Inc. and was the CFO of the JRP Investment Group and Vice President of Finance for the Phoenix Insurance Group. Lew received a BS degree in accounting from Dyke College in Cleveland, Ohio in 1985. Spending time: Enjoying my ever-expanding family and staying active by trail hiking and playing in men’s senior adult baseball leagues. Favorite vacation: Anywhere in or near the woods. Nicoleta has almost 20 years experience with the ability to serve as a strategic partner and financial advisor. Nicoleta is a strategic visionary with a diverse capital raising background and sound risk management skills that has the ability to manage multiple processes, relate complex quantitative information and drive results. Nicoleta is an analytical, senior finance professional with strong leadership and critical thinking skills. Prior to joining FocusCFO, Nicoleta served as a Strategic Financial & Turnaround Consultant for a microfinance organization in Africa focused on accelerating growth and improving profitability. She previously held senior positions across various financial organizations working on a large number of financing transactions across multiple industries, as well as managing all treasury functions for a sponsor-backed portfolio manufacturing company. Nicoleta received her Executive MBA from The University of Chicago Booth School of Business and her BBA from Ohio University with a concentration in Accounting & Spanish. Spending time: Traveling and spending time with family. Top of my bucket list: Traveling to every country in the world. Wendy has more than 30 years executive management and leadership experience in accounting and operations. She is adaptable to changing roles and environments with the ability to achieve objectives. Wendy previously worked as an Executive Vice President, Chief Operating Officer, and Chief Financial Officer for privately held corporations at Cardinal Fastener Inc. and Ecocenters Corporation. 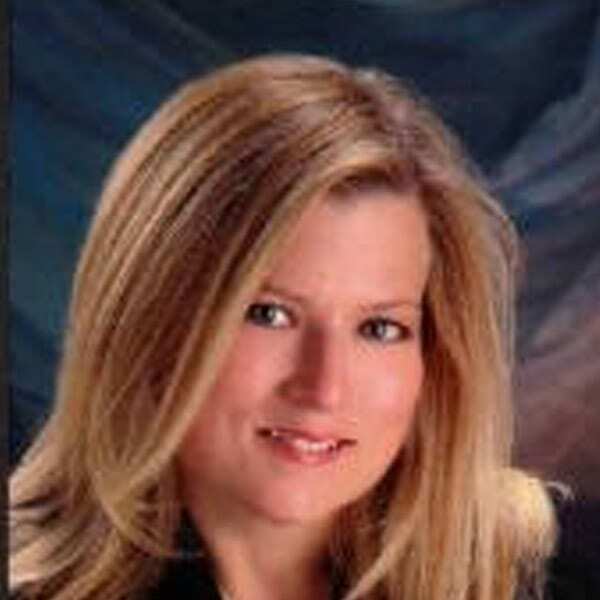 Wendy has both MBA and BSBA degrees from Kent State University, Kent, Ohio. Favorite Professional Sports Teams: Supporting Cleveland sports in Browns, Indians, and Cavs. Season ticket holder for too many years to mention! Dwight has more than 25 years of diverse experience in manufacturing, sales and service businesses, providing results driven counsel to all levels of management. He has also been a key player in matters ranging from day-to-day operating decisions in a factory or small business unit to setting strategic direction in a multinational corporation. 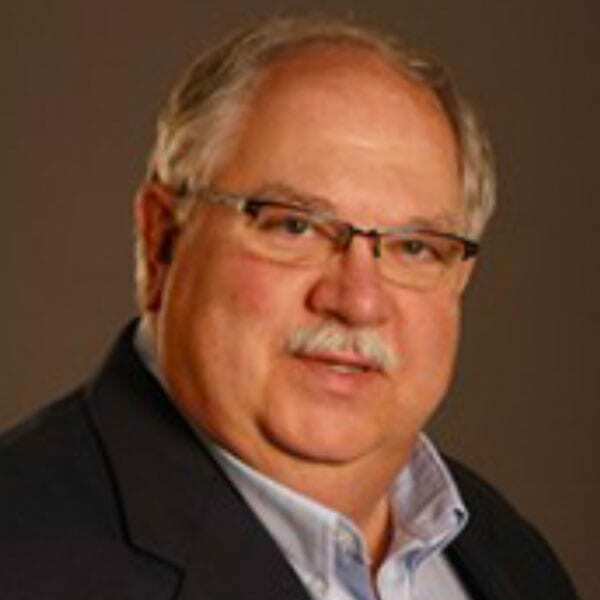 Dwight previously worked as Finance Director, North America for Ametek’s Floorcare and Specialty Motors Division in Kent, OH, and as Controller, Global Manufacturing and Procurement for Diebold, Inc. in North Canton, OH. Dwight received a bachelor’s degree in Accounting from the University of Akron. I have visited six continents. Still working on getting to Antarctica. Mike is an accomplished business executive with over 40 years of financial and full P&L experience in a wide range of markets. He is passionate in providing value added solutions to business problems and developing sound business strategies and process improvements. Mike lives in Mayfield Village, Ohio with his wife Mary. 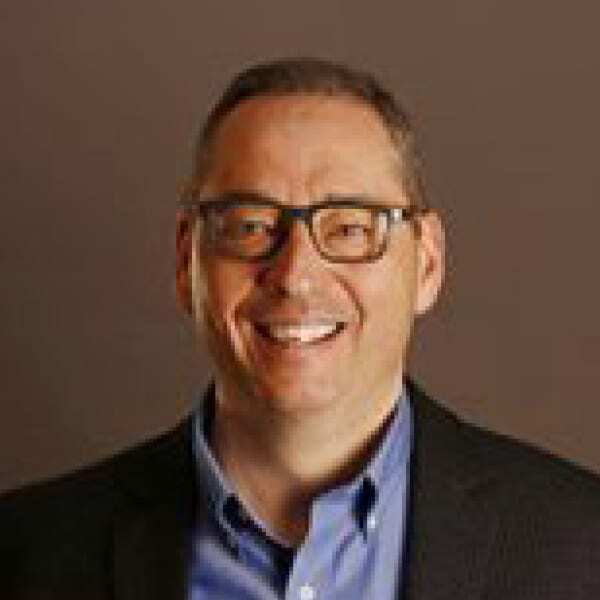 Mike previously worked as a CFO, President, VP of Marketing and Sales, General Manager and numerous Financial Management positions in private and public traded environments with Stryker Energy LLC, GE Company, and Omnova Solutions. He also served as Chairman of the Board for 3 manufacturing affiliates. Mike received a BA degree in Mathematical Economics from Brown University, in Providence, RI. He continued education and professional development by completing a 2 year GE Financial Management Program, GE Leadership Development Programs, and Lean Six Sigma for Executives. Kathleen brings more than 27 years as a CFO and business owner to her clients at FocusCFO. She appreciates and understands the unique opportunities and challenges facing entrepreneurs and family owned businesses. Her experience has taught her how owners can have a pulse on the day to day operations, evaluate their business’s financial strength, and plan the strategies needed to grow their businesses. Kathleen’s financial foundation began in banking as a commercial credit analyst with Union Commerce Bank and then as a corporate financial analyst with Standard Oil Company of Ohio. In 1986, Kathleen co-founded a start-up fastener manufacturing company with minimal capital and machinery. Over 27 years she grew sales, decreased debt, drove efficiencies and cost-effectiveness, adopted lean manufacturing techniques, effectively managed capacity expansion, developed a hard-working and loyal workforce, and secured equity investors to bolster the company’s balance sheet. Through diversified operations and client base, she mitigated risks and navigated the successful sale of the company to a private equity firm in 2013. Kathleen received her MBA in Finance with a minor in Marketing from Northwestern University’s Kellogg School of Management in Evanston, IL. She earned her undergraduate BBA degree in Finance from the University of Notre Dame in South Bend, IN. She also completed COSE’s Strategic Planning Course and has recently become a Certified Exit Planning Advisor. Ken has over 30 years of progressive manufacturing, accounting and managerial experience, including analyzing manufacturing variances, job and process costing, and new systems implementations. He has held various Controller level positions Fortune 500 companies, as well as CFO positions at small to mid-size businesses. Ken and his wife Linda live in Chesterland, Ohio. 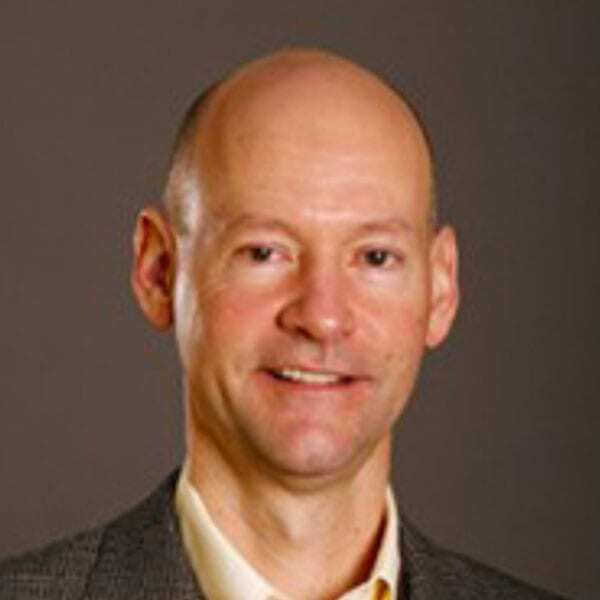 Ken has previously worked as a CFO, VP of Finance, and various Controller levels in international public and small private manufacturing companies including Saint-Gobain Performance Plastics, Tarkett Flooring, Soundwich, Inc., and Roll-Kraft. Ken received his Bachelor’s Degree in Accounting from Heidelberg College in Tiffin, Ohio. •	Spending time: I love spending time with my wife, 5 children and 3 grandchildren. •	Favorite vacation: Sitting on the beach at Hilton Head Island or a Caribbean Cruise. •	What I wanted to be when I was a child: I wanted to be a professional baseball player. •	Favorite thing about being with FocusCFO: Being able to help companies grow by being passionate about what I do and bringing that enthusiasm and knowledge to work every day! David joined FocusCFO as a partner after more than 20 years in senior financial management and 13 years in consulting. He has experience in manufacturing and transportation and logistics businesses. His areas of expertise include strategic planning, financial analysis, crisis management, process improvement, and ERP systems implementations. David previously worked as a CFO, Director of Accounting, and other senior level positions in private and publicly traded companies with Cyberex (Danaher), Dairy Mart, Bulk Materials, Inc., subsidiaries of NESCO, and Touche Ross & Co.
David received a BS in accounting and finance from The Ohio State University in Columbus, Ohio, and a BSMPE degree in Mechanical Polymer Engineering from the University of Akron. Walter came to FocusCFO after 20 years of providing interim management, financial and consulting services to privately owned and public companies in the metals and woodworking manufacturing sector, energy, distribution and services industries. His experience includes all aspects of accounting, forecasting, budgeting, financial analysis, debt refinancing along with significant involvement in directing the acquisition and divesture transaction process. Walt started his career in public accounting then followed on the next 15 years with a New York based metals and mining company where he worked his way up to VP of Finance for a $200 million division. Upon leaving he directed the financial management of a number of small to mid-sized organizations and eventually started his own consulting business. A history of achievement at growing established companies plus turning around underperforming and unprofitable organizations for entities in the entrepreneurial sector has been his experience. Financial analysis that includes internal reporting of the key company metrics on a daily and monthly basis along with forecasting of revenues and expenses including cash flow projections are some of the needs of a growing organization, he has crafted and implemented these systems at a number of entities. Walt received his BS in Accounting from St John’s University, Jamaica, Queens, NY. Gregg’s diverse background has enabled him to provide both financial and operational management expertise to middle market companies. As a former CFO and business owner, Gregg is keenly aware of the opportunities and challenges that face entrepreneurs. Prior to joining Focus CFO, Gregg was part of a small entrepreneurial group that started a successful consumer goods distribution company. Gregg was part owner and CFO of this company which successfully grew annual revenues to $35M over a 12-year period. Gregg also has prior financial management experience in several companies ranging from middle market to large publicly held companies. Gregg started his career at Arthur Andersen LLP and holds a B.S. in Accountancy from Case Western Reserve University in Cleveland, Ohio. Favorite Activities: Watching my beloved Cleveland Indians pursue the ever-elusive World Series championship, vacationing with my family. Niels is a seasoned executive with over 30 years experience in finance and operations working primarily in the Manufacturing, Consumer Products, Healthcare and Retail sectors. His experience includes working in Private Equity, Small Cap, Fortune 500, Family Owned and M&A environments. Niels previously worked as a CFO, VP of Finance, Controller and in other senior level positions in private and publicly traded environments with The Hygenic Corporation, The JM Smucker Company, Wayne-Dalton Corporation, Bennett’s Appliance Centers, National Business Systems and Fort Wayne National Bank. Niels received a BA in Business Administration and Biology from Goshen College in Goshen, IN. He is a Certified Public Accountant and a member of the Ohio Society of Certified Public Accountants (OSCPA) and the American Institute of Certified Public Accountants (AICPA). 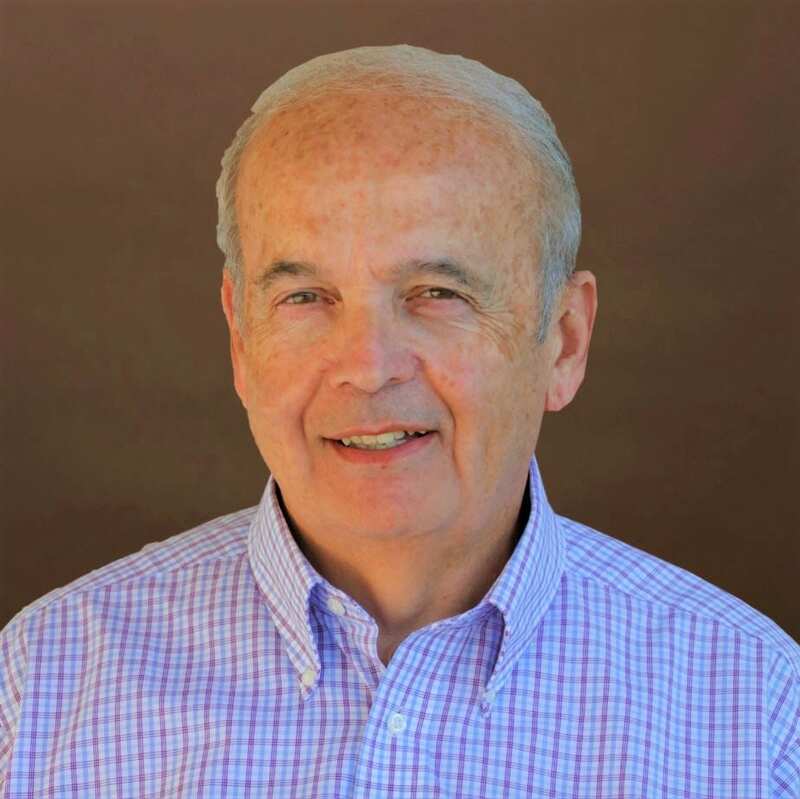 Chuck has over 36 years of experience as a finance and accounting executive with expertise in strategic business planning, process improvement, risk management, and expanding customer relationships. During his career, he has had responsibility for accounting, budgeting and forecasting, strategy, operations and business development, procurement and payment services, all aspects of human resources, and process reengineering. 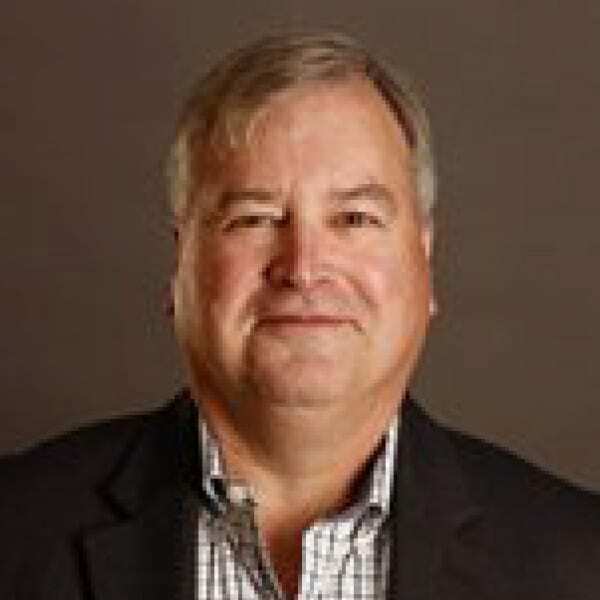 Chuck has held various accounting and financial positions including senior executive at the U.S. central bank and a regional financial services company, Chief Financial Officer at entrepreneurial businesses, and Partner at Ernst & Young in various roles. Chuck received his Bachelor of Business Administration from Southern Methodist University in Dallas, Texas and is a Certified Management Accountant, Certified Internal Auditor, Certified Fraud Examiner, Certified in Financial Management, and Chartered Global Management Accountant. Todd is a 30 year seasoned entrepreneurial executive with a wide range of functional, strategic, and general management experience across industrial and commercial markets. His experience, primarily with privately owned companies, covers the gamut from hyper growth to distress, traditional Midwest industries to high tech engineered products. Todd previously worked as a CFO, VP Engineering/operations, COO, General Manager, and ran his own M&A and consulting firm. Todd received an MBA from The Amos Tuck School of Business at Dartmouth College in Hanover, NH, and a BSE in systems engineering and operations research from Princeton University, Princeton, NJ. Jim’s experience includes manufacturing, national wholesale distribution, imports, retail, and multi-state operations. Industries include metal fabrication, oil and gas, electronic testing equipment, circuit board manufacturing, wholesale tire and wheel distribution, and giftware. Jim spent 10 years consulting with entrepreneurs and was employed by both the Youngstown Region 12 Small Business Development Center and the Youngstown Warren Regional Chamber. While working in this area, Jim received a state award from the Ohio Department of Development for Business Analyst of the year. For seven years, Jim was employed as a self employed consultant along with a national firm American Management Services and Manufacturing Advocacy Growth Network (MAGNET) based in Cleveland. While at MAGNET, Jim gained experience in the manufacturing Lean concepts of 5s and 8 waste. 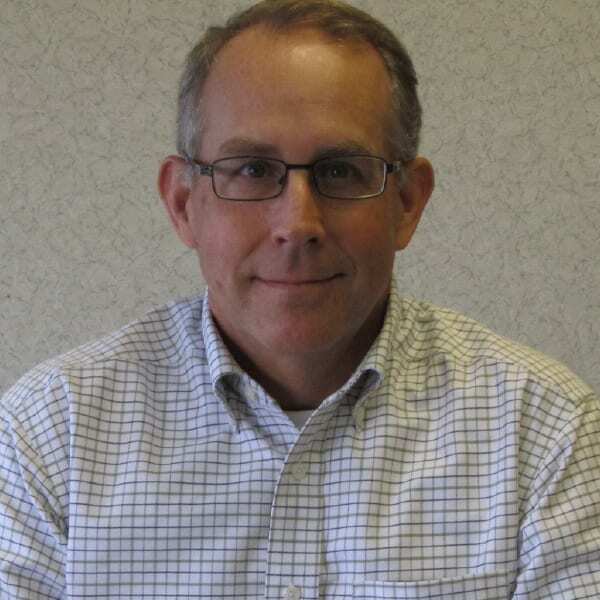 Prior to joining Focus CFO, Jim was president of a financially troubled metal fabricator. 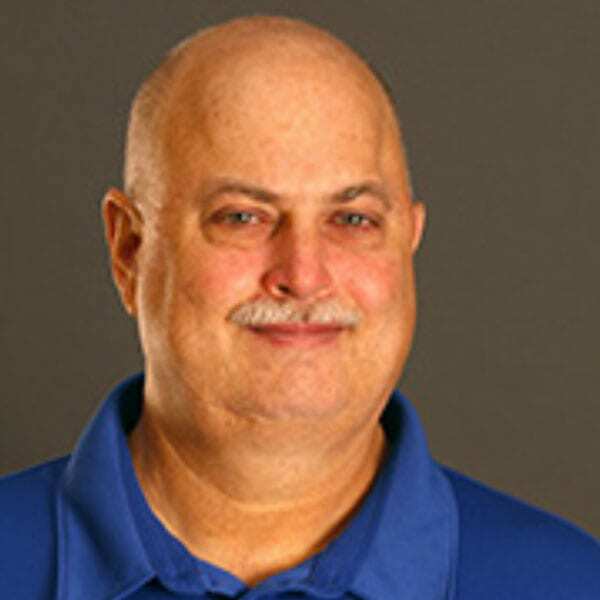 Jim enjoys spending time with his wife and traveling to visit their two children and one grandchild who all live outside the area. Jim enjoys cooking and running. He has participated in area 5K and 10K runs. Jim also enjoys classic cars and car shows. Todd has over 30 years business, finance, human resources, administration and accounting experience working for small, mid-size and large global organizations. He has extensive experience in strategic planning and mergers/acquisitions for companies going through transition or transformation. 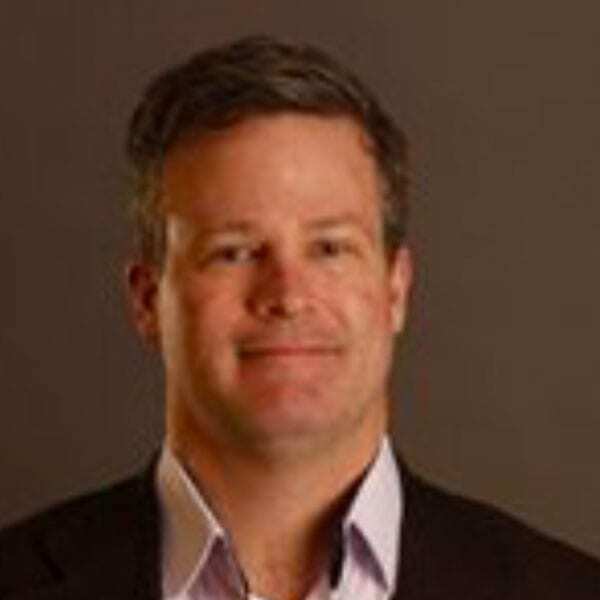 Todd previously held senior management and leadership positions with companies including American Airlines, Citibank, Bank of America, The Karcher Group and Dix Communications. Todd began his career in Accounting with Arthur Andersen & Co. in Columbus, Ohio. Todd received a BA in Accounting from the University of Mount Union in Alliance, Ohio. Favorite activities: Spending time with my family, traveling with my wife, golfing, horseback riding, reading and playing guitar. Favorite thing about being with FocusCFO: Partnering with businesses to provide value to help companies grow and sustain long term business success. Skip has more than 30 years diverse business, finance, administration, and accounting experience providing CFO services for mid-sized companies to larger, global organizations. He has also had extensive involvement in matters ranging from day-to-day operating decisions with full P&L responsibility, business development, strategic planning, investor relations and mergers/acquisitions. 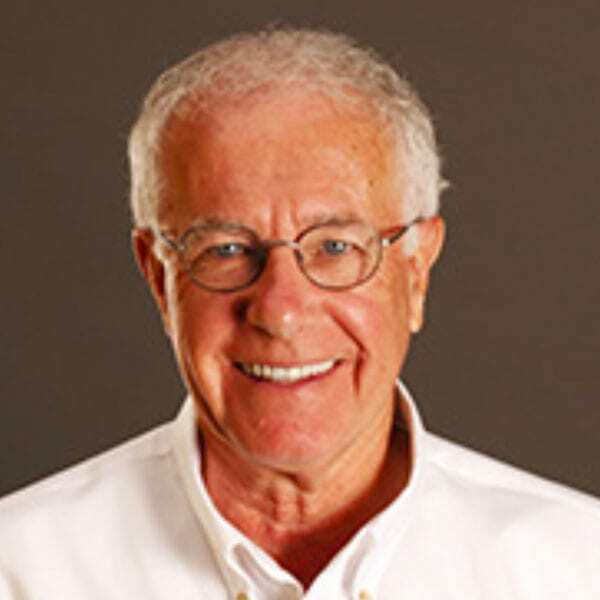 Skip’s experience and expertise in manufacturing organizations, primarily in the automotive industry, led to several senior management and leadership roles with companies such as NSG / Pilkington, Hayes Lemmerz, and Tenneco Automotive. His expertise includes financial and trend analysis, development of operating and financial metrics, product line profitability, budgeting/forecasting, cash planning, organizational development and cost accounting. Skip received his BSBA in Accounting from the University of Akron, in Akron, Ohio. Non-Profits: Served in various roles within our church and community. Currently a church Elder and a member of the Executive and Finance Committees. Also on the Board and Finance Committee of Cherry Street Mission and Life Revitalization Center, Toledo, Ohio. Other: Passionate about basketball … from coaching to spectating to now officiating junior high and senior high games. Mark joined FocusCFO in 2018 to develop the Western Pennsylvania region. He grew up and has spent his entire business career in the Pittsburgh area. With a diverse business and management background Mark is looking forward to being a part of FocusCFO’s initial impact in Pennsylvania. Mark started his career at PNC Bank in commercial banking covering Washington DC through New York City. At Westinghouse Electric Corporation he was the first planning and cost accounting manager for its robotics division. Later he became Manager of Financial Planning at Westinghouse Headquarters for 40% of the corporation and its international operations. He left Westinghouse to became a venture capital executive at Koppers whose legendary portfolio included companies such as Genentech. After Koppers he has done C-level start-ups and turnarounds in technology, manufacturing, healthcare, advanced materials, software, finance, transportation, energy, nano-engineering and other industries. Mark has served on the boards of 11 for-profit companies. Mark received his undergraduate degree from the University of Pittsburgh, an MBA from the Pennsylvania State University and completed the Venture Capital Institute. Mark has long served in community leadership positions such as a Trustee of Pittsburgh History & Landmarks Foundation, the Executive Committee of the Pittsburgh Zoo and Aquarium (where he chaired the design and construction of the new aquarium), Director at Three Rivers Rowing Association, Board member for East Liberty Development, Inc., Director for Fox Chapel Authority, among others. Fred has been very successful in performance improvement and cost control. Over 35 years of experience in the manufacturing/warehousing industries with a track record of reducing expenditures, a turnaround of manufacturing plants, building long- term organizational infrastructure, debt renegotiation, process engineering, internal auditing, global sales, and systems implementation for long-term, repeatable success. Experienced in the energy, glass, injection molding, metal stamping/tooling, building products and automotive supply industries, and non-profits. Fred lives with his wife Carri in Perrysburg OH. Fred previously worked as a President, CFO, Customer Service Director and Energy Solutions Director and other senior level positions in private and public traded environments. Fred received a BBA degree in Accounting from The Ohio State University. Jeff is an Area President for FocusCFO in Metro Detroit. He has nearly 30 years of leadership experience and lives in Utica, Michigan with his wife Diana. Jeff’s experience extends from sales, recruiting, budgeting, operations and public policy. Jeff earned his Bachelor and Master’s degrees from Walsh College and he and his wife live in Utica, Michigan. Prior to becoming an Area President at FocusCFO, Jeff worked as a VP at a national staffing company, he was an entrepreneur – founding his own staffing organization, he was COO ofa mid-sized CPA firm and for six years Jeff was a State Representative where he chaired the House Tax Policy Committee. Jeff if passionate about working with small and medium sized businesses and assisting in their growth. As a State Representative he earned honors from multiple organizations including Legislator of the Year from the Small Business Association of Michigan,Legislative Impact Award from the Michigan Association of CPAs, Legislator of the Year from the Michigan Manufacturers Association and the Economic Impact award from the Michigan Bankers Association. Jeff earned his BBA and MSM degrees from Walsh College in Troy, Michigan. Spending time: Anytime with family. We have two sons, one in the Navy and the other in western Michigan so my wife and I treasure the time together. What I wanted to be when I was a child: Shortstop for the Detroit Tigers. Favorite thing about being with FocusCFO: I’m truly excited everyday about the opportunity to “talk business” with entrepreneurs and executives and help them achieve their goals. Joe has been a results-driven Senior Financial Leader with multi-industry success in accounting and financial management, audit, compliance, strategic business planning, and mergers and acquisitions. Much of his 30-plus years of experiencing has been concentrated working with small and mid-sized companies, working with sole-proprietors and family-owned businesses. He has a successful track record in leveraging opportunities for continuous improvement in established entities and evolving organizations impacted by acquisition, divestiture or new management. Joe is a roll-up-your-sleeves leader with excellent collaboration and training skills that support a solid record of contributions in human resources and information systems. His colleagues know him as a trusted business partner with strengths in relationship building, communication and inclusion, who interacts comfortably with ownership, management and associates at all levels. Joe lives with his children in Perrysburg, Ohio. Joe received a Bachelor’s of Business Administration degree from the University of Toledo, with a focus in Accounting. John has more than 25 years of experience advising entrepreneurial companies in business development, growth strategies, long-term strategic goals, and operational finance. Having been in the trenches as an investor and a business owner/operator, he brings a sense of awareness and understanding of the issues that you face as a small business company owner. John comes to FocusCFO with more than 25 years of COO and CFO experience. 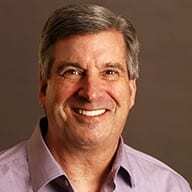 Prior to joining FocusCFO, John was a co-owner, COO and CFO at Viewpoint Mobility, Fisher Solutions and Core Technology Corporation. Mr. Doerer is also a founding partner of Polestar Capital, a private equity firm that diversified its capital across a range of service, information technology, and software companies. John received his BBA in Business Economics from the University of Michigan and an MBA in Finance from Indiana University. Favorite Vacation: Skiing with my family. Passionate About: Helping entrepreneurial companies reach their goals and aspirations. Favorite Activities: Boating, golfing, skiing, and reading. Pete has over 25 years of diverse business experience to include strategic planning, management, finance, administrative, operations and accounting. As a former business owner, he has extensive experience in nearly every aspect of small to mid-sized business. For the past 21 years Pete has worked as Financial Controller, CFO and Co-Owner for the Archbold Furniture Company. Prior to that Pete was a Senior Cost Accountant and General Accountant for the La-Z-Boy Chair Company headquarters in Monroe, MI. Pete spent seven years in the Army National Guard and he has many professional accomplishments and memberships. Pete received both an MBA and a Bachelor of Science in Accounting from The University of Toledo. Pete is dedicated to continuous, lifelong learning. • Favorite Vacations: Paris with my wife and Mexico with my family. • Favorite Activities: golf, tennis, snow skiing, snowmobiling, biking. • Professionally Passionate about small & mid-sized businesses that are the backbone of our communities and our country. • Personally Passionate about nurturing relationships, staying active and continuous self improvement. • Spending Time with my wife, family & friends enjoying a variety of arts, activities and foods. Joe is a lifelong Michigan resident and has more than 35 years of financial management and leadership experience. He has extensive experience in corporate finance, accounting, operations, risk management, budgeting and forecasting, business financing, and strategic planning. 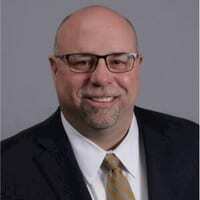 Joe spent the past 17 years as CFO of SmithGroup, Inc., an international architectural and engineering design firm. Joe previously held Controller and CFO positions in various privately-held and publicly traded firms and began his career at Ernst and Young. Joe received both an MBA and BBA from the University of Michigan, in Ann Arbor and is a member of several professional executive organizations. Favorite musical Artist/Song: Bruce Springsteen, Folk, anything Motown or 1970’s funk/soul music. Passionate about: The opportunity to fulfill my career transition goal of working with small to mid-size firms and helping them grow and succeed. Favorite Activities: Spending time with family (especially in Northern Michigan), playing golf, watching college football and basketball, and enjoying the outdoors. Bob’s 30 years of financial leadership experience enables him to build value, achieve sustainable growth, and manage risk in the variety of companies he assists. His financial background encompasses budgeting, forecasting, financial analysis, business valuation, M&amp;A, financial systems implementation, and establishing turnaround and profit growth strategies. Bob has closed financing deals with private investors and senior lenders, and has managed investor and bank relations. Bob’s financial experience includes CFO, Director of Finance and Controller. His leadership toolkit consists of lessons learned while keeping struggling companies afloat, leading growing companies to scale, and pushing maturing companies to continue to deliver consistent and meaningful returns to their stakeholders. Bob built his entrepreneurial hands-on finance and operations experience with a variety of information technology, manufacturing and services companies in the SMB market, following his corporate finance background in services and manufacturing with companies including ADP, Honeywell and the Linde Group. Bob received an MBA from the University of Michigan’s Ross School of Business, and a BA in Economics from Fordham University in New York, NY. Spending time: Going on hiking vacations with my wife and three adult children. Favorite books: Good to Great (Collins); The 7 Habits of Highly Effective People (Covey); The Intelligent Investor (Graham); Walden (Thoreau); Thinking, Fast and Slow (Kahneman); All The Right Moves (Markides); Capitalism and Freedom (Friedman); The Worldy Philosophers (Heilbroner). Something most people don’t know about me: I’m an award-winning artist and regularly exhibit my paintings in national art shows. Favorite Activities: Reading, Hiking, Painting, and Cooking. Dan has more than 35 years experience in executive management and leadership in business finance, management and accounting. Dan loves entrepreneurial spirit and is excited to be given the opportunity at FocusCFO to assist entrepreneurs with the difficult challenges facing them. Dan previously worked as General Manager, Treasurer, Director of Mergers & Acquisitions, VP of Finance, and other senior level positions in private and publicly traded companies with Yoder & Frey, Brambles Equipment USA, T&N Industries (now Federal Mogul) and was previously with PricewaterhouseCoopers, where he served many clients in a variety of industries. He has diversified knowledge in strategic planning, financial analysis, cash management & working capital management, cost reduction & control, product profitability analysis, process improvement & new systems implementation, risk management, HR operations, multistate operations, mergers/acquisitions, and litigation management. Dan loves entrepreneurial spirit and is excited to be given the opportunity at FocusCFO to assist entrepreneurs with the difficult challenges facing them. Dan received a BSBA degree in Accounting from Manchester University in North Manchester, Indiana. Passionate about spending quality time with friends and family, particularly on our pontoon boat on a warm summer day with music playing and drinks in hand. 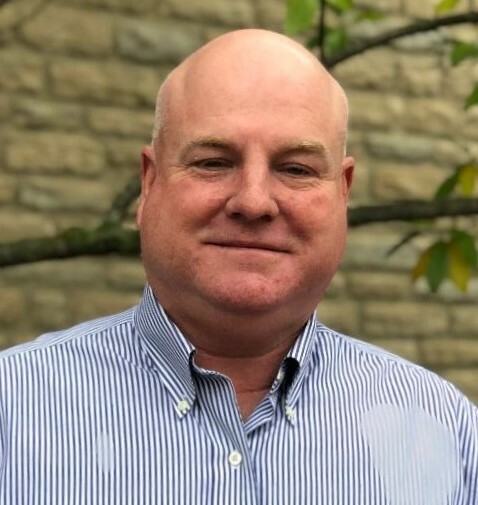 Tommy is an Area President for FocusCFO in Cincinnati, Ohio, and has more than 24 years experience, 19 of those in executive management and leadership. He has extensive experience in sales, marketing, operations and with transaction and financing projects. His wide ranging experience includes owning and operating multiple small businesses of his own, guiding business owners and fostering an environment of entrepreneurship with all those he meets. Tommy, his wife Lora and four daughters live in Batavia, Ohio. 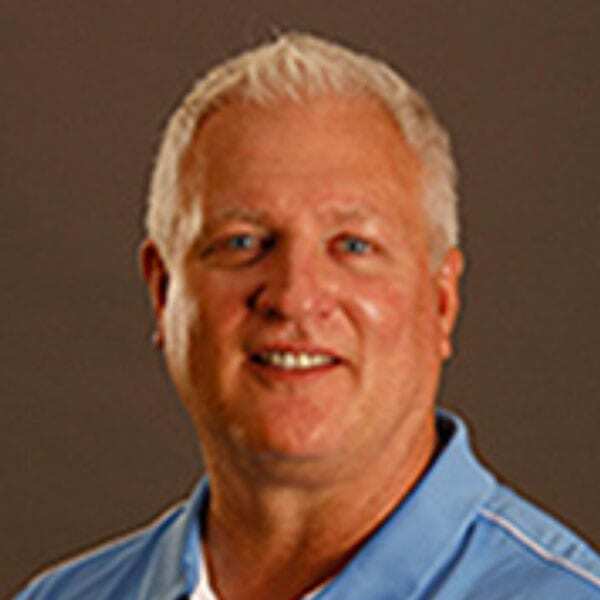 Tommy currently owns and operates RedLine Athletics in West Chester, Ohio and The Brand Agency, an Allstate Insurance Agency in Loveland, Ohio. 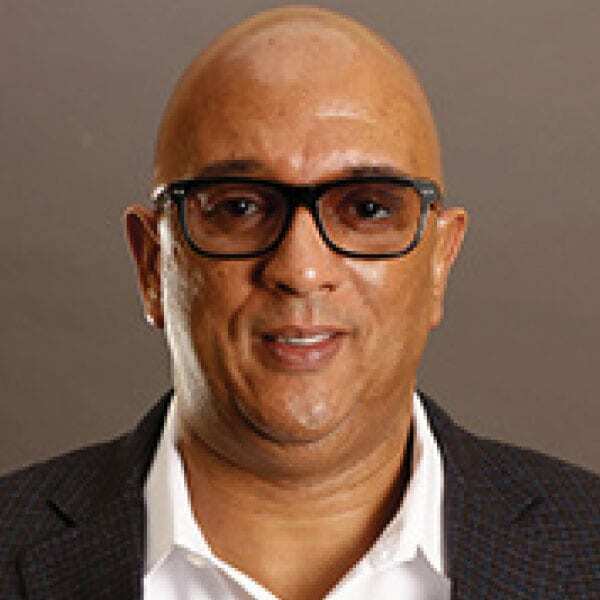 He previously worked as CFO for the IT group at Vantiv, VP of Finance at UniRush, CFO at Divisions, Inc and various other executive level positions in and around Cincinnati over the past 24 years. Tommy received a Bachelor’s of Science in Accounting from the University of Kentucky and a Bachelor’s of Business Administration in Finance from the University of Kentucky. Tommy passed the CPA exam in 1996 and held his CPA certification until 2005 when he let it go inactive. 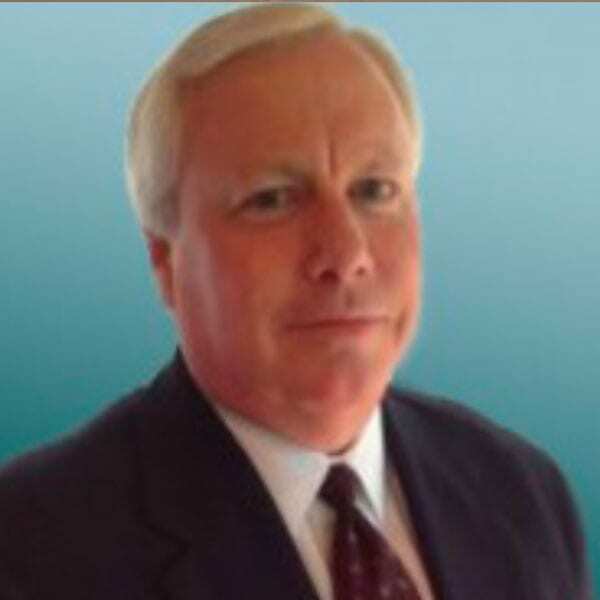 Jim has thirty (30) years of experience in the area of consulting and advisory services to middle market, principally privately-owned companies. He has extensive experience in accounting, finance, operations and with transactions and financing projects. His experience impacts directly the efforts of entrepreneurs on issues ranging from strategy planning to day-to-day operations. Jim and his wife CeeCee live in Loveland, Ohio. Jim previously worked as a CFO, VP of Business Operations, Director of Finance and other senior level positions principally in private companies with Berghausen Corporation, Catalina Marketing, Yale Industrial Trucks and was previously with Arthur Andersen & Co.
Jim gained his Bachelor of Science, Accounting from University of Tampa. Chris joined the FocusCFO team as an Area President serving the Cincinnati and Northern Kentucky markets in 2018. He has worked with a number of small and mid-market businesses over the last 18+ years, all of whom were at critical stages of launch, growth or profit maximization within their respective models. He is a great communicator with a belief that the financial team within any organization should strive to bring all departments together because any operating model will only go as far as its fiscal health will allow it. Chris and his wife Lindsay life in Fort Thomas, KY.
Chris previously worked as a CFO for the world’s largest indoor cycling brand, CycleBar Franchising LLC. As CFO, his role was an exciting mix of working with the executive team to grow the brand, which ultimately led to a large investment partnership, as well as working directly with franchisees to maximize their performance. During Chris’s time at CycleBar, 124 studios were opened domestically and internationally. Chris served as CFO for one of the nation’s largest Franchise Development Firms, St. Gregory Development Group. During this time, Chris worked with over 15 nationally recognized franchise brands as well as helped develop 4 start-up franchise brands within a variety of service and retail industries. Chris is an avid (and long suffering) Cincinnati sports fan. Chris and his wife, Lindsay are expecting their first baby in early 2019. As the youngest of 8 kids, Chris learned at an early age the values of a team, sharing, when to listen, and when to speak up. Scott is a seasoned executive with over 35 years of financial leadership experience with small and mid-sized companies in a wide range of industries. With FocusCFO, he is engaged by companies as an outsourced CFO supporting ownership, senior leadership and team members with analytics, counsel and rigorous fact-based financial perspectives focused on adding value to the business. His experience includes 20 years as a CFO, several years as a partner for an M&A advisory firm and in the past 10 years engaged with numerous clients in an outsourced and/or interim CFO role. Scott has a strong operational background, is highly effective in maximizing cash flow, managing growth and spearheading profit improvements. He has been instrumental in leading exit strategies and transitions for owners as well acquisitions, recapitalizations and debt financings. Scott has a Bachelor of Science degree from the University of Kentucky and an MBA from Xavier University. Sheila is his wife of 42 years, and they are the parents of two sons. Doug has more than 30 years of senior financial management experience in industry and the nonprofit sector. He has extensive experience in improving and automating processes, budgeting and forecasting, strategic planning, financial analysis, and managing accounting departments. Doug and his wife Bette Ann live in Cincinnati, Ohio. Doug previously worked as a CFO, Controller, and Director of Finance in industry, and various types of nonprofit organizations and started his career with public accounting firms. Doug has also spent several years in Consulting, where he managed accounting, finance, and operational projects in various industries. Doug received a BBA in Accounting from University of Cincinnati. Dan is a FocusCFO Principal serving individual clients as their CFO. He has more than 30 years of experience in leading financial and administrative organizations in privately held companies. He has extensive experience in working with business leaders to improve profitability and cashflow while also minimizing risk. Dan has spent his entire career working for privately held family owned businesses. His previous roles have included CFO, VP of Corporate Services, Director of Finance, and Controller. He has previously worked in a variety of industries including distribution, manufacturing, government contracts, R&D, and international. Dan received both a BS in Business degree and an MBA from Wright State University in Dayton, OH. His undergraduate majors were in Accounting and Management. His MBA concentrations were in Finance and International Business. John has been a senior finance, operations, and administrative executive and educator for 30+ years and has significant finance, technology, supply chain, HR, administrative and operations experience in commercial printing job shop and tier one automotive parts repetitive manufacturing industries for privately-held and family-owned businesses. He has proven his ability to improve operations, increase business growth, maximize profits and increase cash flow. John previously worked as a VP – Injection Mold Operations, Director of Finance and other senior level positions with Green Tokai, Ernie Green Industries, and Mazer Corp. and as an Accounting professor at Sinclair Community College. John began his career at William S. Fry & Co., CPAs. John received an MBA and BS – Accounting from the University of Dayton and a MEd from Wright State University. Favorite thing about being with FocusCFO: Having the opportunity to support the success of passionate business owners. Favorite vacation: Traveling to Arizona to watch our children’s high school marching band compete at the Fiesta Bowl. Passionate about: Researching the disruptive technologies of RPA, Machine Learning and AI and their impact on Accounting in SMBs. We customize our services around your needs, your time, and your budget. We will work with you on whatever schedule you decide, helping to make sense of your company’s finances and take steps to optimize cash flow. Request a complimentary analysis with one of our CFOs to assess your business’s financial health. We are passionate about working with small to medium-sized businesses and providing CFO-level support to organizations that do not need a full-time CFO or may not have the budget for one. Find answers to some of the most commonly asked questions about FocusCFO, what we do, and how we work with our clients. We offer a personalized approach to our customers’ needs and we work to gain their trust. Contact an Area President today.